Tagged along for a trip to the zoo the other day. 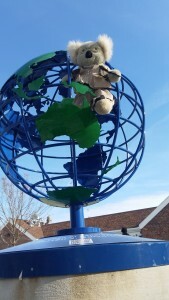 Felt like I was on top of the world (see picture). 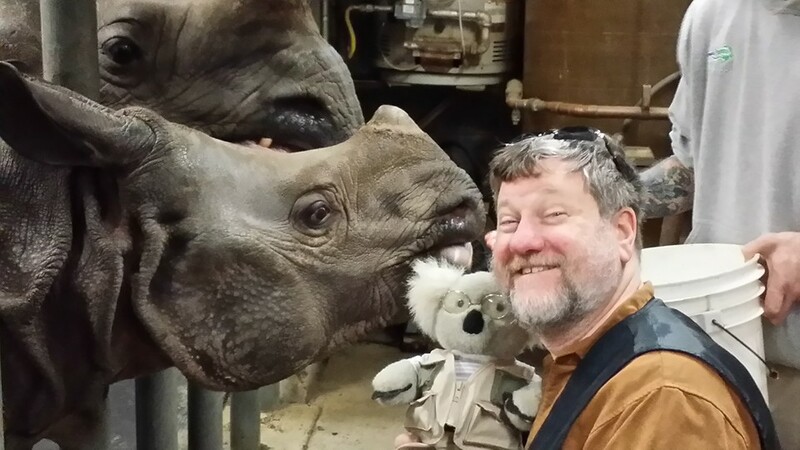 We had back stage passes to the rhinoceros habitat, something the Buffalo Zoological Gardens does on weekends in the Winter. One of their biggest fans invited Ken’s wife and in turn Ken got way too excited at the prospect of coming along. I came mostly to keep the fanboy in check, and to stretch my legs outside the household preserve. It’s been too long. The highlight of the day seemed to be confirming Ken’s assumption that rhinos go “moo”. I used to this it was just his substitute for not knowing the actual sound one makes during his imitation of such, but to everyone’s surprise, he was right.